Hi everyone. Wow, what an incredible few months. First of all, and on behalf of everyone here at Rocksteady Studios, I’d like to say a massive “thank you” for your support in making Batman: Arkham Knight the success it has been. The team have poured blood, sweat and tears into this, the final chapter in our Arkham trilogy. But we’re not done yet. So what’s new this month? Well, if you have the Season Pass, you’ve already experienced the “Matter of Family” Batgirl DLC, and today we’re continuing with new content and launching our Tim Burton-inspired “1989 Movie Batmobile Pack.” You’ll get to drive this iconic car on custom racetracks that take inspiration from both of the Tim Burton movies with two bespoke challenges for each track. 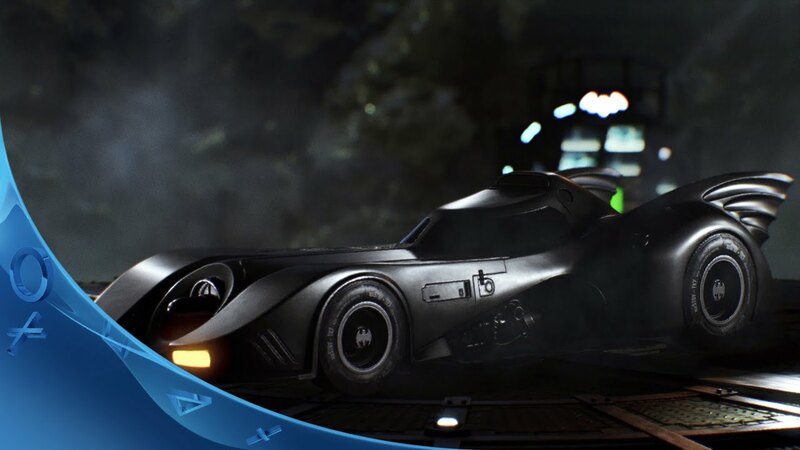 Plus, if you’ve managed to clear the streets of the Arkham Knight’s drone tanks, you’ll be able to take the car onto the streets of Gotham City. 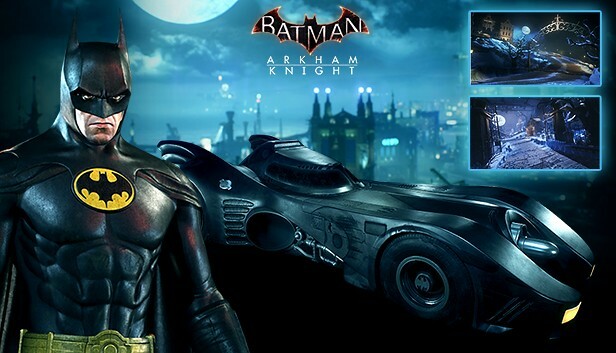 Also included in today’s drop is the “Bat-Family Skin Pack” with new skins for Batman, Robin, Nightwing, and Catwoman. And there’s lots of great stuff still to come. On September 1st we’ll be launching the first of our “Crime Fighter Challenge Packs” and soon after that, another legendary Batmobile takes to the streets of Gotham as we continue to deliver new content every month. Thank you again for your support and keep letting us know what you think on Facebook or Twitter. Less skins and more meaty campaign (or standalone) add ons please! Completely agree!!! Harley was OK (most fun at least)… Batgirl was meh… Red Hood was minuscule, but reminded me of Deadpool. Imagine is Rocksteady made a DP game. :) The addition of skins and tracks means NOTHING to me, I detest racing games to begin with, and the over-saturation of Batmobile time in the full-game was nuts. Should have been called “Arkham Knight: Batman’s Car”. I enjoyed the game but “Arkham City” is the BEST of the trilogy by far. I guess it was at least WAAAY better than the horrible “Origins” game. Seeing that Batman (the 1989 film) is one of my all-time favorite movies, I have to give my thanks to Rocksteady for making a DLC pack based on the Burton Batman films. GOTY ED is looking better and better. Can we get some Arkham Knight PSN avatars? Such a missed opportunity with the last game. I hope the forthcoming Nightwing story pack is meatier than Batgirl, Red Hood, and Harley Quinn were. Red Hood and Harley were especially disappointing. A lot of good ideas, but none of them were given enough room to form and breathe. Batgirl was almost there, it just needed another hour or two. I don’t wanna be that guy, but the length of these isn’t really doing much to justify the $40 season pass so far. The 1989 suit is pretty cool, and having tried one of the 1989 batmobile races so far, I can say they did a great job capturing the feel of the Tim Burton movies. I’m not super-excited about the race-tracks, but I didn’t know you can use the 1989 batmobile in the main game after the tanks are gone. I’ll definitely try that! Where are the race tracks? You find the tracks in the AR Challenges menu. So when is the Game Of The Year edition coming out? Best suit and car, but without any tank functionality the Batmobile ’89 is mostly useless — you can’t even use it for getting many of the Riddler’s trophies where the car is needed. Since we’re at it, why can’t we have the original Batmobile from Asylum, which also appears as a static prototype in Origins? The original Asylum Batmobile is coming in a later DLC pack.